The first seasonal event for Apex Legends is now finally live, after much speculation and anticipation. In this Apex Legends Season 1 guide, we'll be taking you through everything there is to know about the debut event for Respawn's game, highlighting all the Apex Legends Wild Frontier update details you need to know. But if you instead need any additional information on Respawn’s foray into the battle royale genre, you can hit up our Apex Legends beginner’s guide. Here you can find not only a full beginner’s guide to the extension of the Titanfall universe, but also a list of essential tips and tricks that every player should know. Just below, you can see the final announcement of Apex Legends Season 1, which kicked off on March 19. The seasonal event began at right around 10 a.m. PT/1 p.m. ET, and a relatively small patch of right around 3GB is available to download on all platforms now. Taking a look at the graphic from Respawn just below, we can see that there'll be three more seasonal events over the next year. 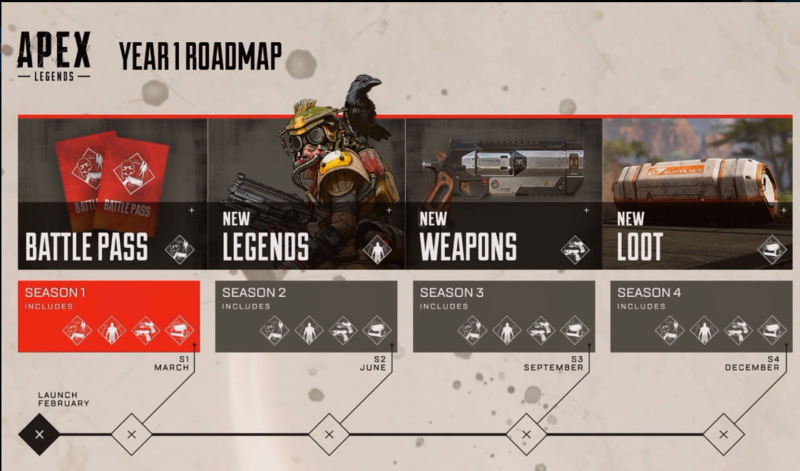 This means that if the schedule holds true, then each season in Apex Legends should last for right around three months. Interestingly enough, the new character of Octane is not bundled in with the Season 1 Battle Pass. Instead, Octane will merely launch alongside Season 1 in the Wild Frontier update. Check out our Apex Legends new characters guide for more. Previously, the only new weapon included for Apex Legends after launch was the Havoc. 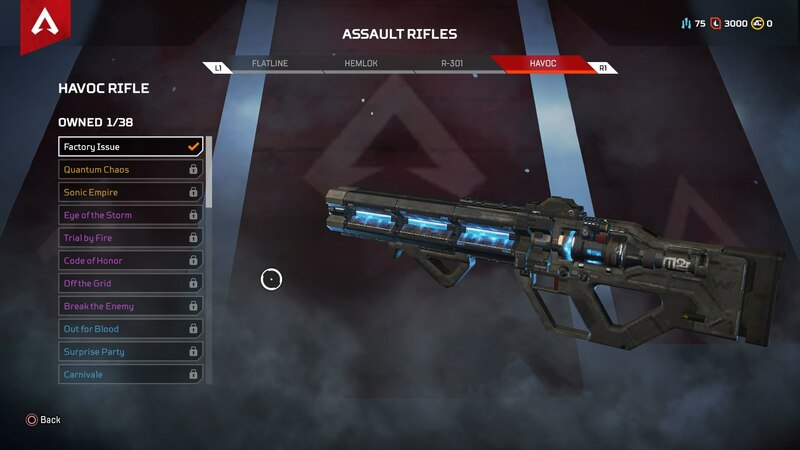 This energy assault rifle was launched in late February for Apex Legends, so that’s at least one weapon from Titanfall that’s already come over to Respawn’s new game. As of right now, these are all the details we have on the new Season 1 of Apex Legends. Now that we’re all done here, you can head over to our additional guides on Respawn’s game, including our Apex Legends best weapons guide, or our Apex Legends characters guide for more.